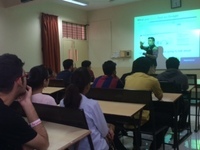 SCMS was delighted to have Mr.Nilesh Ghai over for a CV building workshop that was conducted for all the Placement Registered Candidates. 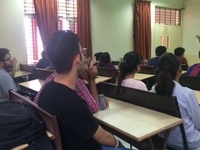 Mr.Ghai who is currently working as the Branch Head of the Enterprise Business section of Monster.com gave some extremely insightful tips to students about building their CV. 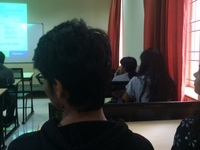 Mr.Ghai explained the concepts a CV, Resume and Bio Data. He explained the DO's and DONT's of making a CV with plenty of practical examples. It was an extremely informative and interactive session.